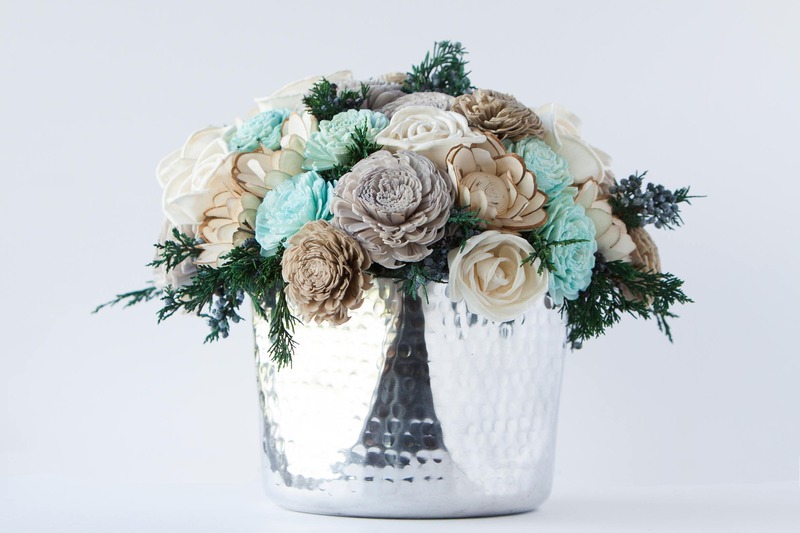 Unlike a fresh floral arrangement, this gorgeous winter arrangement is a great gift that will last year after year. 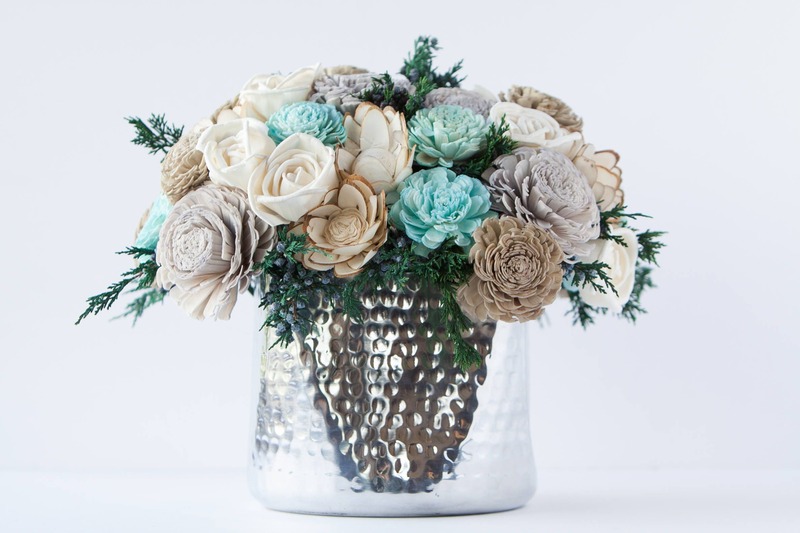 Perfect as a dining room table centerpiece, addition to a mantle, side table or entryway. 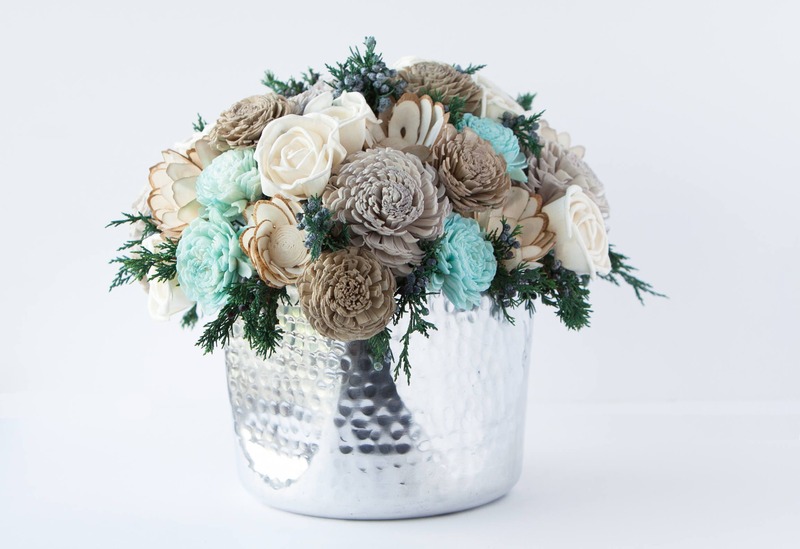 It is composed of an assortment of ivory, light turquoise blue, tan and grey sola wood flowers with a touch of winter greenery. 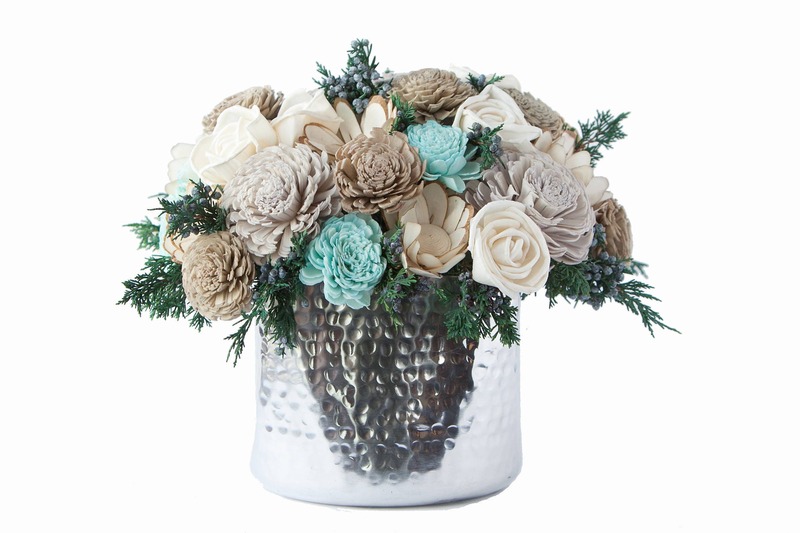 The silver metal container adds elegance to this beautiful floral design.